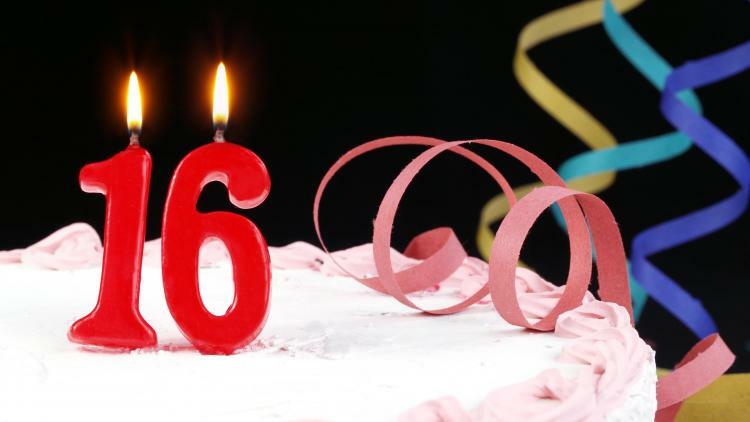 In January 2018, Microsoft Office for Mac turns “16”. No, not 16 years old, but version 16. Erik Schwiebert and Paul Bowden, software engineers with Microsoft, presented on some upcoming changes to the Office for Mac suite at the Macbrained Twin Cities meetup in mid-November. Not only is the suite version number changing from 15 to 16, but they announced Office 2019 for Mac is in the works. Version 16 will be a major milestone in the development of Office for Mac. For the most part, it will look like another monthly update. However, Jamf administrators should be aware of some of the under-the-hood changes and how these changes will affect their support needs and their end users. The Office for Mac team at Microsoft jokes internally the codebase is old enough to buy its own alcohol — it’s more than 30 years old. Some of the people working on the product are younger than the code itself. In 1990, Microsoft started bundling its Excel, PowerPoint and Word applications into a suite for sale called “The Microsoft Office”. Shortly after that, they decided to rewrite everything. Codenamed “Pyramid”, Office would have a common codebase for Mac and Windows. Pyramid never shipped, but the idea of the common codebase was implemented to create Word 6 for Windows, which crushed the competition, and Word 6 for Mac, which “was a crappy product” according to Rick Schaut in his “Buggin’ My Life Away” blog. He’s been working on Mac Word for most of its life. According to Schaut, “A complete code rewrite is risky. The whole point of a complete rewrite is to take a few steps backward in the short-run in order to be able to make some greater strides in the long-run.” New management decided the needed effort wasn’t worth the short-run hit and the codebases diverged again after the release of Office 97 for Windows. Office 98 for Mac followed a year later. The idea to return to a common codebase stayed with Microsoft but they ran into some hurdles trying to get back to it. Apple changed to a new UNIX-based operating system called Mac OS X in 2001, and later in 2005 it announced plans to change from its PowerPC architecture to Intel. And development of Office on the Windows platform was progressing on its own timeline, inventing new file formats, creating new features and significantly changing the user interface. Eventually, the features between both platforms diverged and their object models (the way each handles code) began to differ. The code in Office 2008 for Mac was as different from the Windows code as it ever was and feature parity between the two platforms greatly suffered. For the last 10 years, Microsoft has been taking those few steps back with the plan to reunify the code and it’s been paying off. During that time, Microsoft has released Office for two new platforms they didn’t anticipate when they started their project — iOS and Android. These were the first new platforms to ship from the new unified codebase and that was possible because the majority of the underlying code was the same. Microsoft says this with the caveats that it’s all still a work in progress and they won’t promise 100 percent parity. That’s because some features are specific to an operating system and they also have no plans to bring applications like Access or Visio to Mac. What does this mean for Jamf admins? A little more than a year ago, Microsoft converted Office 2016 for Mac from 32-bit to 64-bit. While this was a significant change in the product, they shipped it to customers as one of its monthly updates with little fanfare because their development processes allowed for this seamless (to the end user) transition. Office 2016 for Mac (version 16) will ship the same way. December’s release was 15.41 and January’s release will be 16.9. Administrators who have implemented Jamf Pro extension attributes, advanced computer searches, licensed software searches, smart groups and policies based on “like 15.” or similar criteria may need to make some changes. Adding an additional criterion such as “or like 16.” or cloning existing searches, groups and policies to make new ones with “like 16.” may be enough to accommodate the new major version number. Once version 16’s code is the main working code, customers should see new features light up more quickly and some catch-up on feature parity between the Mac and Windows versions. Also, the lag between platforms as Microsoft adds new features should become minimal — features will appear simultaneously on both Mac and Windows platforms or only a few months apart instead of years or never. How does this version change affect Office 365 and volume license customers? It doesn’t. Come January’s release, both types of licensing will continue to receive the exact same software bits and they’ll continue receiving the same updates until Microsoft decides to release Office 2019 for Mac sometime in mid 2018. At that time, Office 365 subscribers will see virtually no change. Their licensing entitles them to the same monthly updates and use of the software as Microsoft releases new features and makes improvements. Assuming they purchase licensing for Office 2019, volume license and perpetual license customers will see many features available only to current Office 365 subscription licensees light up in Office 2019. These include things like morph transitions in PowerPoint and focus mode in Word. However, Microsoft will keep some Office 365 subscription-only features as subscription-only. They’ll announce those as Office 2019 releases. For the most part, Jamf administrators need do very little to prepare for this transition. Again, reporting of any type in Jamf Pro that specifically looks for version “15” will need adjusting. Otherwise, Microsoft suggests using its Microsoft AutoUpdate (MAU) tool to keep up-to-date. Microsoft recently released MAU 4 beta for testing. It includes command line support offering another way for administrators to manage their client updates. Command line support will report on available updates and install one or more updates, even if no one is logged in to the Mac. MAU 4 should release in early 2018 as well and is being developed and tested with Jamf Pro compatibility in mind. Watch Schwiebert’s and Bowden’s full presentation with these and more details on YouTube: https://www.youtube.com/watch?v=iBwgDT1Zy9c.